Botrydium granulatum (Linnaeus) Greville Drawdown zone, Pitsford Water SSSI, Northamptonshire, UK. Huxley, R. & Pentecost, A. (2002). Order Oedogoniales. 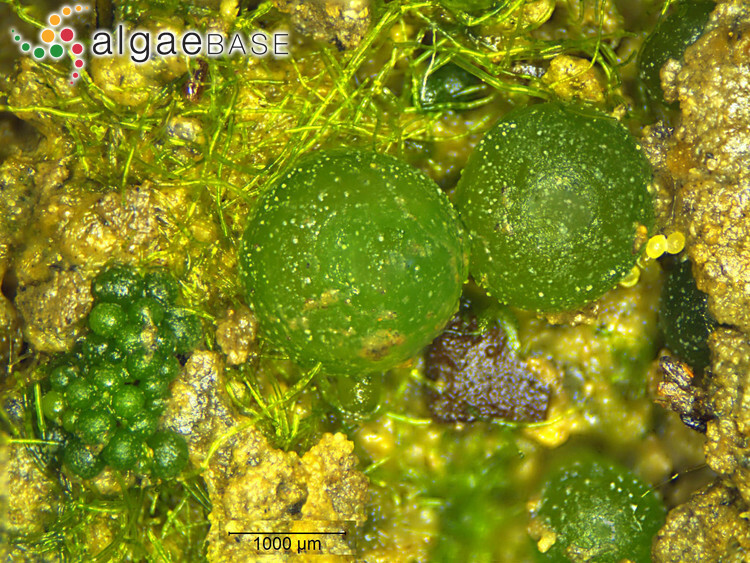 In: The Freshwater Algal Flora of the British Isles. An identification guide to freshwater and terrestrial algae. (John, D.M., Whitton, B.A. & Brook, A.J. Eds), pp. 409-432. Cambridge: Cambridge University Press. Johnson, L.R. (2011). Phylum Xanthophyta (Tribophyta) (Yellow-green algae). Orders Botrydiales, Mischococcales, Rhizochloridales, Tribonematales. In: The freshwater algal flora of the British Isles. An identification guide to freshwater and terrestrial algae. Second edition. (John, D.M., Whitton, B.A. & Brook, A.J. Eds), pp. 318-335. Cambridge: Cambridge University Press. Zarina, A., Masud-ul-Hasan & Shameel, M. (2005). Taxonomic study of Vaucheriophyta Shameel from certain areas of the Punjab and NWFP, Pakistan. Int. J. Phycol. Phycochem. 1(2): 159-166. Accesses: This record has been accessed by users 6695 times since it was created. Gil-Rodriguez, M.C., Losada-Lima, A. & Moro Abad, L. (2003). Botrydium granulatum ( Linnaeus) Greville, primera cita del género en las islas Canarias. Algas Número especial 23-24: . Janet, C. (1918). Sur le Botrydium granulatum??. : . Mercer, E.I., London, R.A., Kent, I.S.A. & Taylor, A.J. (1974). Sterols, sterol esters and fatty acids of Botrydium granulatum, Tribonema aequale and Monodus subterraneus. Phytochemistry 13: 845-852. Mitchell, M.E. (1969). A note on Botrydium Granulatum (L.) Grev. in Ireland. The Irish Naturalists' Journal 16: 245. Moewus, F. (1940). Über die Sexualität von Botrydium granulatum. Biol. Zentral. 60: 484-498. Randhawa, M.S. (1940). 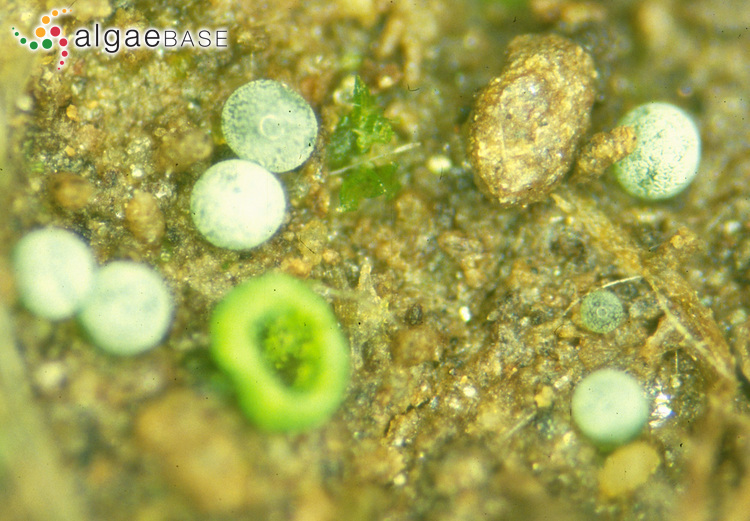 A note on a club shaped variety of Botrydium granulatum (L.) Grev. var. clavaeformis var. nov. Proceedings of the Indian Academy of Sciences, Section B 11: 222-224. Rosenberg, M. (1930). Die geschlechtliche Fortpflanzung von Botrydium granulatum Grev.. Österr. Bot. Zeit. 79: 289-296. Tell, G. (1970). Contribucion al conocimiento de las algas del Suelo Bonaerense I. Botrydium granulatum y B. tuberosum. Darwiniana 16: 139-143.